Russia has denied the existence of the Novichok programme, a military-grade nerve agent which Britain said was developed by Russia and had been used on its soil on March 4. 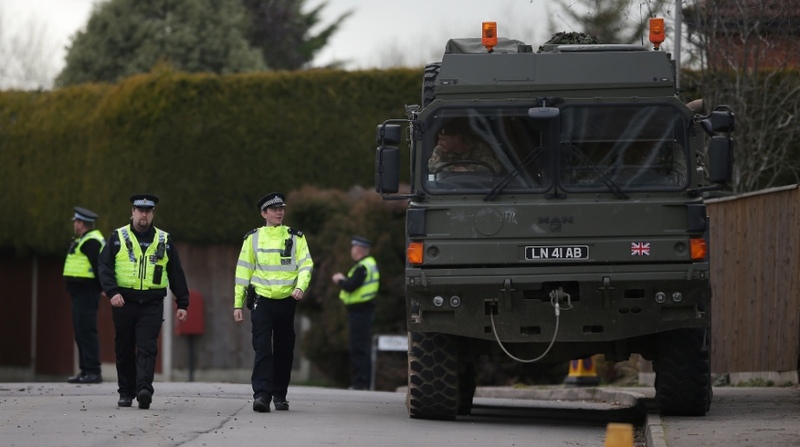 The Geneva-based Conference on Disarmament on Thursday heard an update by Britain on the March 4 incident in Salisbury in which Britain said a military-grade nerve agent Novichok developed by Russia had been used, Xinhua reported. “On March 4, a weapon so horrific that it had been banned from the use in war, had been used on the United Kingdom’s soil, in a reckless act carried out by people who disregarded the sanctity of human life,” a UK representative told the Conference. “The UK had concluded that the Russian State was involved, and had taken adequate measures, which were not directed against the people of Russia but were in objection to reckless acts of its Government,” the British diplomat said. Russia, in its right of reply, urged Britain to provide concrete evidence and facts on which it was basing its accusations. “The investigation was still continuing, and yet the responsibilities had already been established”, noted a Russian representative, stressing that it was Russia which was being accused. Denying the existence of the Novichok programme, the Russian diplomat stressed that this issue should be discussed in a different forum and remarked that its requests to Britain for information sharing remained unanswered. Objecting to the very public handling of the situation, which was not conducive to international cooperation, Russia reiterated its interest in finding the truth, more than anyone else. The Russian diplomat also said that Russia is ready to cooperate professionally and insisted that accusations against another state must be supported by bullet-proof facts, which Britain did not provide. “This public diplomacy must stop and continued professionally in specialized agencies,” the Russian representative stressed.